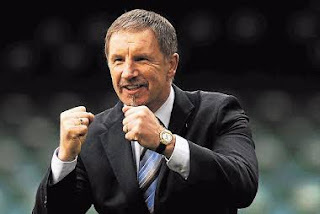 Stuart Baxter, who’s the coach of Bafana Bafana says he is sure of winning the Nigeria’s Super Eagles in Saturday’s 2019 Africa Cup of Nations qualifier at the FNB Stadium, Johannesburg. Stuart Baxter led South Africa to a 2-1 win over Nigeria in 2004 in a Mandela Challenge before defeating the Super Eagles 2-0 in a 2019 AFCON qualifier in Uyo in June 2017 – his first match in his second stint at the helms. In an interview with Sowetan, a South African online newspaper, he said, he expects the three-time African champions to have vengeance on their mind ahead of the clash. “Everybody knows the list of injuries that we have had. Everybody knows what I said in the first press conference (a week ago) that despite that (the injuries) I want to speak about the players that we do have because even though we respect Nigeria, we do not fear them.